Brazil.smartcash.cc is Live and Beautiful! 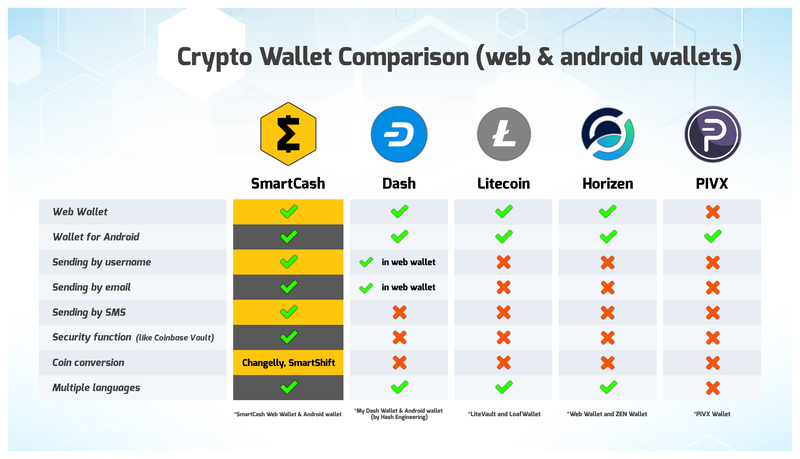 Recently the SmartCash web wallet and Android app received two big improvements to security and ease of use. The most recent, SmartShift, is an instant-conversion service that enables users to quickly and easily convert other cryptocurrencies like Bitcoin, Bitcoin Cash, Litecoin and Dash to SmartCash directly within their wallet. SmartShift has a very smooth user experience, competitive fees, and the SmartCash that is received is quickly spendable within the wallet. With a focus on the user experience, SmartShift is a viable alternative to other crypto conversion services available to users and a beta version is already available to use in the web wallet today. With its focus on a seamless user experience, SmartShift makes it easier for new users to acquire SMART and get started with sending transactions to merchants or friends without spending a lot of time setting up additional accounts. While SmartShift currently supports only four deposit currencies, a wider selection is anticipated with future integrations with more exchanges and currency pairs. The second recent feature is SmartVault. These vaults can be created within the web wallet and can receive funds like a normal wallet address. However, they can also prevent stored funds from being immediately withdrawn by adding optional security steps to complete the transaction. Extra security options like this makes it even safer to use mobile wallets for crypto because the funds cannot be immediately withdrawn from them. This can be a concern with a lost device or compromised password. SmartVault helps bring peace of mind regarding the security of your funds, making the SmartCash Android Wallet and Mobile Web Wallet even more useful for daily transactions. Together, these latest features showcase the user-centered design philosophy of the SmartCash web wallet and Android app: enabling easy to use crypto cash payments in your daily life. For more information about SmartCash, visit www.SmartCash.cc. Coinlance.com bringing you the latest news about SmartCash, Bitcoin Confidential.